Unlike Salvador Allende, Makarios escaped death and with him his state survived also, albeit mutilated by the Turkish invasion that followed suit. Kissinger had to admit that Cyprus had been the greatest failure of his career. Why did he do all this? Because Kissinger was the early neocon prototype, albeit much more capable than what his epigones proved to be. In spite of using his intellectual skills to build his image, he could never be something like Marcus Aurelius, the philosopher king, nor even like the shrewd Rabin, who knew when the time had come to transform into a permanent peace, from a hegemonic position, what he had won in the war. Kissinger wants to play God (even though he should know that sometimes hubris is followed by nemesis. But this is not the kind of argument to stop such a man). He has enormous capacities, great charisma and a global strategic vision, even if not everybody would agree with it. He was by far the most astute of the great cold (and also hot) warriors. By achieving an otherwise impossible alliance with the leader of the Chinese Communist Revolution, by what he did in Europe, the Middle East, Japan and even Latin America, he was able to encircle Russia and lay the strategic foundations for the demise of the USSR. His influence upon US foreign policy and strategy has lasted much longer than the time of his service as Secretary of State and National Security advisor. His unparalleled achievements were due to the combination of two weapons he knows how to use very well. One, he never hesitates. Every time he thinks it necessary to use every possible method, he has no moral, or any other, scruples. The end justifies the means, as the Jesuits used to say (or probably their opponents claimed they said). The second and even more fearful weapon is his capacity to understand, better than they themselves do, what all the various players in a given game are thinking: their mentality, their needs. He is thus able to send all of them, including his rivals, the signals that are right for his purposes, signals formulated in the language the most likely to persuade them and make them move in the direction he wants them to go. Even if they continue to harbour some doubts, he is the master of the game because he knows what he wants and he does not hesitate for a moment. That was the secret of his triumphs. 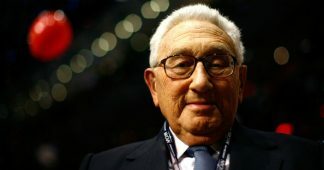 I think even now Kissinger is one of the very few people who can maintain very good relations with both camps in what seems very much like a civil war at the very top of the Empire, probably between globalizers and practitioners of chaos, something like the war between the emperors Antonius and Octavius in ancient Rome. In 1974 Kissinger was able to prepare his Cyprus coup first by deceiving everybody about his real intentions, including the Greek dictator Ioannides, Archbishop Makarios and Soviet FM Gromyko (when he met both of them in Nicosia weeks before the coup), the British government and even his own President Richard Nixon, probably exploiting his serious troubles with Watergate. It was a masterpiece of deceptive diplomacy, even if this is something he cannot openly claim. In March 1974 Major-General Ioannides the Greek dictator invited to his office the ship owner Aristotelis Onassis. He told him, according to one of the very close associates of Onassis, “Aristotelis, everything is fine with foreign policy. The Americans told me to get rid of the priest (Archbishop Makarios, President of Cyprus) and they will give us the island” (Cyprus to be united with Greece). Ioannides was a little bit mad and the only thing Onassis could think of saying to him was “And why they don’t do it themselves?”. Such a question was not enough to make Ioannides think, let alone deter him from what he was already planning. When Ioannides realized after the coup that he had been deceived and that it was Turkey not Greece that was to be “united” with Cyprus, he ordered the Greek Armed Forces to defend the island by all means and attack Turkey on all fronts. Nobody did anything. The USA were controlling all the Greek military hierarchy. The Turkish troops invaded the island essentially without resistance, proceeding to ethnic cleansing of the Greek population from the zone they controlled. Cyprus lost 3% of its population during this operation, which is more than the Iraqi losses during the invasion of 2003. Ioannides, a veteran of anticommunist struggles in Greece, died in prison, always refusing to explain what had happened. He said only “I don’t speak because if I speak all Greeks will become Communists”. 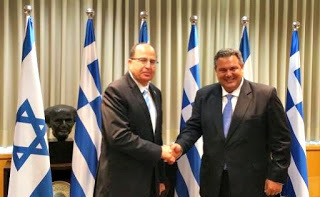 Some time after the events the Greek Parliament itself adopted a special provision to stop any investigations about Cyprus, invoking the need not to disturb the foreign relations of Greece. Just before the coup Kissinger himself visited Cyprus and there met with Soviet Foreign Minister Andrei Gromyko and Archbishop Makarios. We don’t know much about what was said during their conversations except that Kissinger told the Archbishop as he was leaving the island: “Monseigneur, you are too great a leader for such a tiny place.” It was a flattering remark for this son of peasants to hear such words from one of the most powerful men on Earth. If we don’t know what was said in those talks we do know what happened afterwards. Makarios began to act with increasing assertiveness in his relations with the junta, ignoring desperate messages from some people in Athens, that they were planning to kill him. He even wrote the junta a letter asking them to recall their officers from Cyprus. This served as the final pretext for the coup against him. As for the USSR, it reacted only a posteriori to the chain of events and only by the usual diplomatic means. It was the opposite attitude to the one Nikita Khrushchev had adopted in 1964. Then, warned by Makarios’s envoy Vassos Lyssarides, the Cypriot socialist leader, who had met him personally at his southern resort, he had send a strong message to US President Lyndon Johnson explaining that a Turkish plan to invade the island would be unacceptable for the Soviet Union. Johnson sent a letter (published since) to the Turkish leader Inonu, telling him to cancel the invasion plans. But all plans may have some problematic points. Not only did Makarios survive but the Socialists and other democrats resisted the coup on the ground. 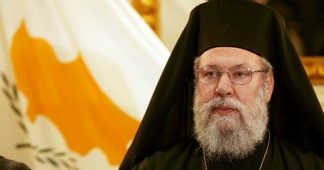 Kissinger’s chosen man in Cyprus, Clerides, who had in the meantime become the acting President, and Kissinger’s friends in Athens, could not do much finally but accept the return of the Archbishop to his island after some months abroad. He had saved his state, but nearly half of the island was already occupied and hundreds of thousands of refugees were living in tents. His heart broken, he died three years later. 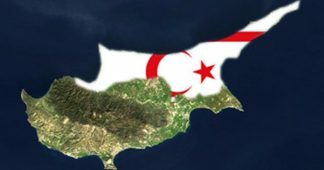 The Turkish forces invaded the island in July 1974 to “protect the Republic of Cyprus and Turkish Cypriots”. The constitutional order of the Republic had been restored on the island, nobody there was in any real danger, the Athens junta had collapsed. But one month later, while negotiations were being held in Geneva, the Turkish Army began its second phase of the invasion, occupying nearly half of the island, where it still stands. According to relevant UN documents the Northern occupied zone of Cyprus remains the most militarized region on Earth. The day before the second military operation Kissinger and the Turkish PM Ecevit had had 14 telephone conversations. In November 1974 Kissinger met Denktash and explained to him what kind of solution he should demand for Cyprus. Later, US undersecretary of State Clifford explained to Makarios what kind of solution was fit for the island. On the basis of a solution of this type, decades later, the “Annan Plan for the solution of the Cyprus conflict” was developed and presented to the Cypriot people in a 2004 referendum. Cypriots rejected the proposal. Now Mrs Nuland wants exactly the same solution before she leaves the State Department. She wants to impose it on Cyprus through a new coup d’état, of a very different, less dramatic and more dangerous type. The coup d’état is to take place in Geneva, on 12th January. She knows that she cannot win a referendum under the given circumstances. 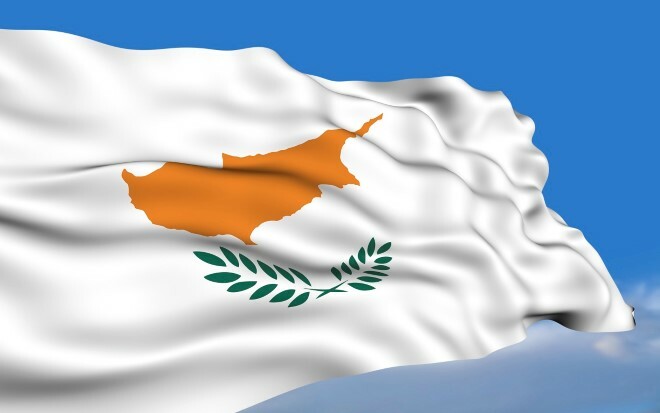 She will therefore try to take everything she can from the powers of the existing Cypriot state, on a legal and political level and at the level of international law, before holding probably two and not one referenda, which is logical as there will be not one but two states in Cyprus after January 12. She will hold the promised referendum she cannot win under the circumstances only when she has changed those circumstances. And she will hold two, not one. All of this is illegal, but if Anastasiades and Tsipras or Kotzias sign the agreements under pressure from her, there will be not be many people around even to protest, as they did during the Iraq war. They will not survive such an act, politically, but I am not sure how they interpret the situation. The more so as most of the international players in fact prefer such a “solution”, and many of them, unbelievable as it may seem, just do not know the real details and provisions of the Annan plan. They know only that they have to support it! 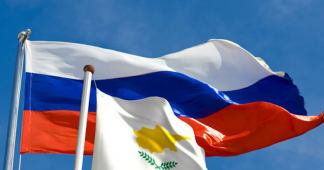 If all this planning does not falter somewhere in the next few days, it will soon be announced on the screens of CNN and world TV: Breaking News: Peace in Cyprus. The two sides announce the creation of a new partnership. Historic foes Greece and Turkey sign a Pact of Alliance. At some point in the future Cyprus will be transformed into a Bosnia. But who will then remember what was on the CNN screen that day? Do you hear anything now about the Iraqi weapons of mass destruction? They will just say: “Oh, those Greeks and Turks, they are at it again. They never know how to behave. They are genetically or culturally disposed to violence. The Cyprus settlement risks becoming, simultaneously, the last victory of the old “globalization” and a prelude to the new Order of Chaos! One small detail: the Annan-Anastasiades-Nuland plan also provides for Turkey to become something like a full member of the EU, a decades-old project of US policy, which now seems all but unachievable through normal means. One more reason for Mr. Obama and Mr. Erdogan to eye the cheese and ignore the trap. The only thing I don’t know is what Netanyahu thinks of all this. Speaking to a closed seminar under Chatham House rules, Mr. Kissinger justified his policy by saying that whoever rules Cyprus, Crete and Malta “rules the world”. Given that he had already lost Malta, he could not afford also to lose Cyprus, ruled by this “red priest”, the “Mediterranean Castro”. This is misrepresentation. Makarios was a very anticommunist, pro-American, conservative, right-wing politician. The only reason that he was flirting with the Soviet Union and that he became a leader of the Non-Aligned Movement, was the threat of extinction of his state, which was always London’s and Washington’s policy aim for Cyprus. .
Cyprus is an island like Britain and (strategically speaking) the USA. From there you can attack anybody in the Eastern Mediterranean, but nobody can easily attack you. When the British PM Disraeli acquired the island from the Ottoman Empire he said “we have got the link we were missing”. Imperial planners not only always thought it would be too risky to let the inhabitants of the island rule themselves (this used to be, and still is, the “Cyprus problem”). They often used the most destabilizing methods to attain their goal of taking the island from them. Kissinger can say whatever he wants. He all but destroyed the South East wing of NATO. Monteagle Sterns, US Ambassador to Athens, said the only reason the Soviet Union was not able to make huge strategic gains out of the mess produced by Kissinger was its own unwillingness or incompetence. Does the United States Have a Future? The same is true of Mrs. Nuland. She could claim, for instance, that what she did in Kiev was necessary to stop Putin from recreating the Soviet Union. But it is not true. The West, if it wanted, could incorporate not only Ukraine, but also Russia into the Western system. They did it with Germany after the War. All that would be required would be to send money there, not IMF economists, and to avoid having NATO troops penetrate deep inside the ex-USSR. Now they don’t understand how it is possible that Putin should be ruling the Kremlin. They believe it is just a misunderstanding of history and they look for ways to remove him from his position. This attitude is not serious. On the subject of Kiev, I really don’t know how to evaluate it. What happened in Kiev was the strongest possible motivation for Putin to decide to send his army to Syria. The West is already facing the consequences of the biggest strategic defeat it has suffered since the Vietnam War. Can you really call such an outcome a triumph? Of course Obama should be criticized for many other things. But one should not judge the presidents of the United States only by the policy of their country. Those seemingly all-powerful people are much more hostages of the mad machine they are running than we are! And for any judgment to be correct one should take into account the real situation in which one person acts. Obama said something very serious, answering the critiques he had received of the “failures of his Middle Eastern policy”. He criticized the previous administrations for the legacy they had left him and for the method of “first shooting and then looking”. But he also made the same mistake and he admitted it in the case of Libya, when he heard Sarkozy. He is a clever man and he probably understood finally that something had gone wrong with Kiev, but he will not admit it. He is familiar with Third World problems but not with Russia. He represents a generation that lacks the terrible education and experience that was the Cold War. About Russia, but not about Cyprus, he could gain a lot from talking with Kissinger and even more from reading Kennan or Cohen. As for Brzezinski, passions are usually misleading. His anti-Russian mania undermined the other aims of his interventions. Of course nobody there in the White House has taken the time to read the Annan Plan (and the same is true for European bureaucracies and governments). They would easily understand, if they read it, that it creates a Bosnia in the Mediterranean. But this is how the world is run. By small minority groups inside the system which write the laws and push the decision makers to act accordingly, thinking they are deciding. (*) Journalist and writer. He worked as an advisor on East-West Relations and Arms Control in the office of Greek PM Andreas Papapndreou (1985-88) and he was the chief correspondent of the Greek news agency ANA in Moscow (1989-99). He collaborated with Michel Pablo in launching the international review for self-management Utopie Critique. He has been a member of the Central Committee and the Secretariat and of the Committee on Foreign Policy of SYRIZA. He stopped having any relations with SYRIZA in July 2015.